Around BuffaLowe: The Spot Light Series at The Vault – Buffalo [5.18.13] – Be Fearless. Be Flagrant. 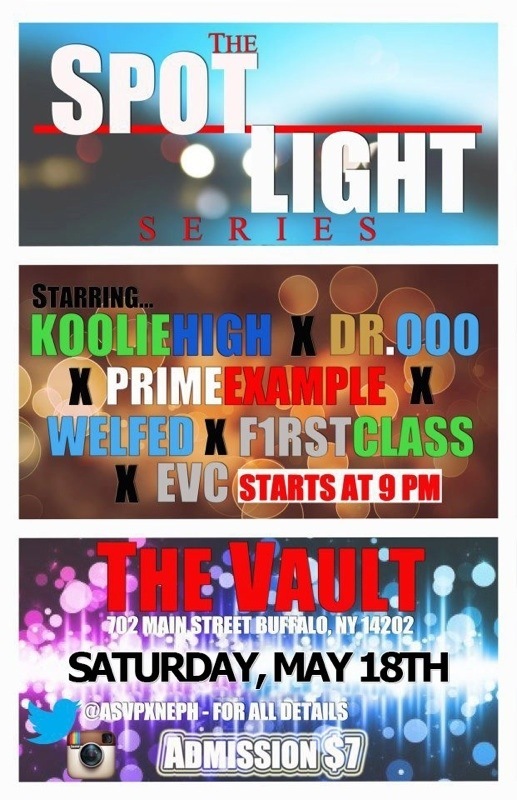 AsvpXneph hosts The Spot Light Series this Saturday, May 18, 2013, at The Vault in Downtown Buffalo. Admission is $7, performances by Buffalo artists, including a few Flagrant City favorites: Dr. Ooo, Go Gev, Koolie High, Well Fed, F1rst Class and more!